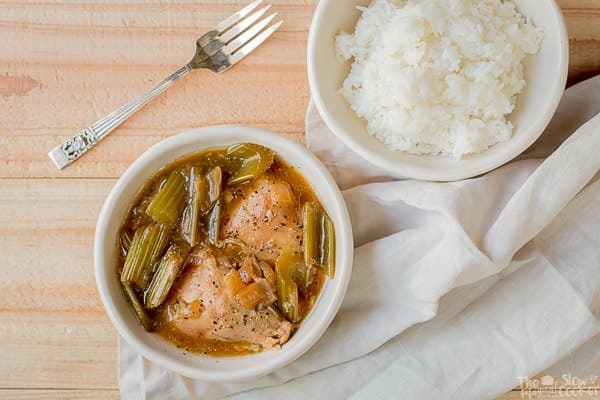 Slow Cooker Black Pepper Chicken can be made the day of or made into freezer meals for later in the month. Hi all! 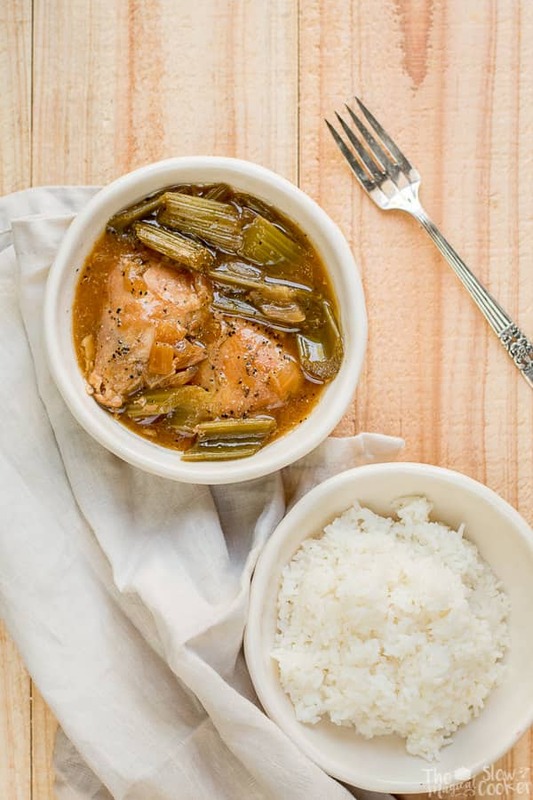 This Slow Cooker Black Pepper Chicken is Freezer Friendly. 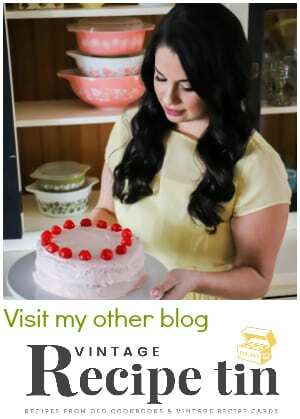 I have been making 1 meal a month on the blog that can be put into the freezer. Freezer meals can be tricky because they can’t have potatoes or dariy in them, so it limits the ideas. This meal works out great for a freezer meal. A few veggies, chicken and an easy sauce go into a freezer bag. 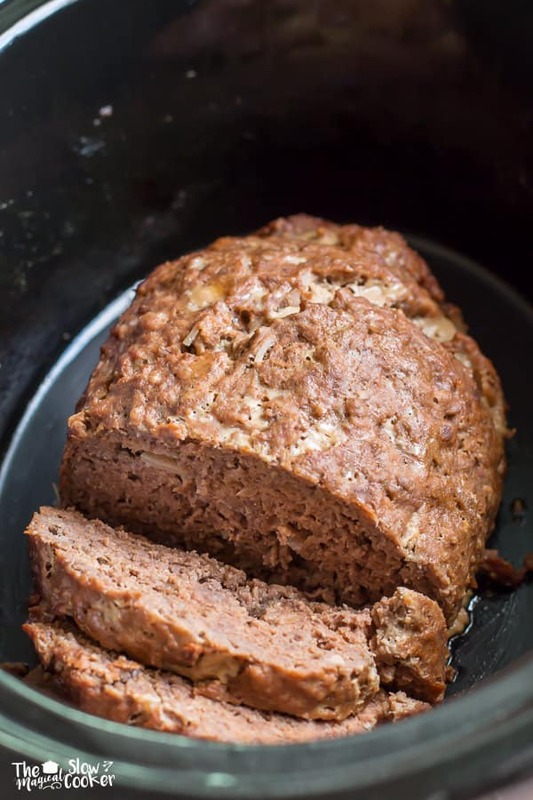 If you aren’t into freezer meals this meal can be placed directly into the slow cooker the day of too. Make sure to use coarse ground pepper, if you only have fine ground pepper, use a lot less. I hope you enjoy this recipe! 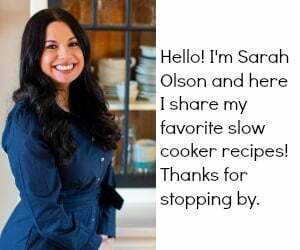 I’ll be back at the end of the week with another recipe for you all. 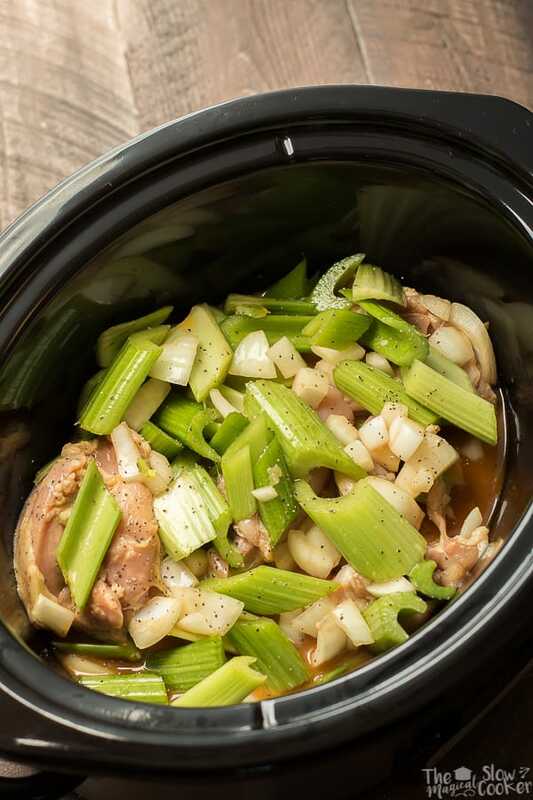 Add the chicken, celery and onion to the slow cooker. In a small bowl whisk together the water, chicken bouillon cube, you may need to smash the chicken bouillon cube to get it to dissolve. Then whisk in the soy sauce, vinegar, cornstarch, pepper, ground ginger and garlic powder until smooth. 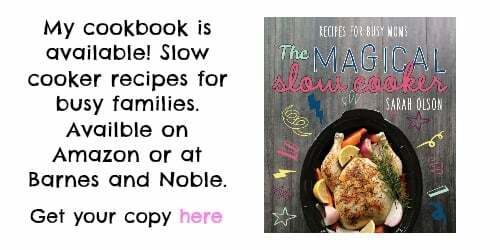 Pour this sauce over the chicken and veggies in the slow cooker. Cover and cook on LOW for 6 hours. Serve over rice. Enjoy! Make the sauce as directed above, then let the sauce cool down in the fridge for a bit. 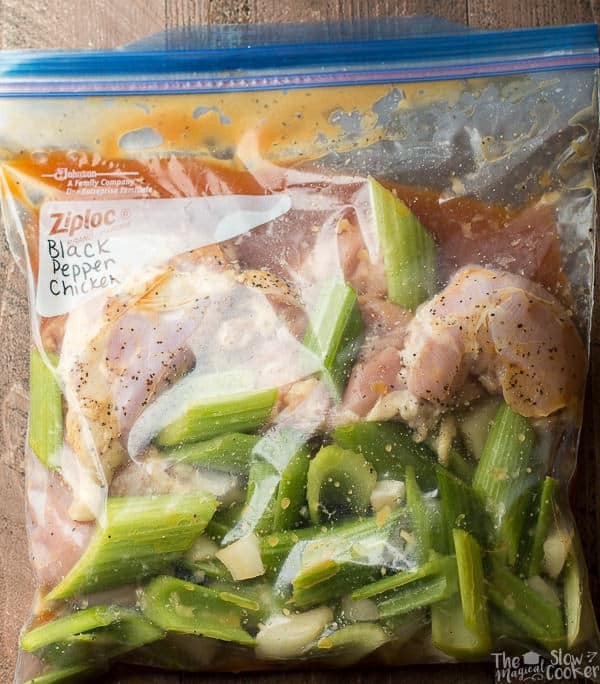 Add the chicken, celery, onion and cooled sauce into a gallon-sized ziplock bag. Squeeze out all the air, and place in to the freezer. Freeze for up to 1 month. When ready to cook, thaw freezer bag out in the fridge, this usually takes about 36 hours. Cook as directed above. 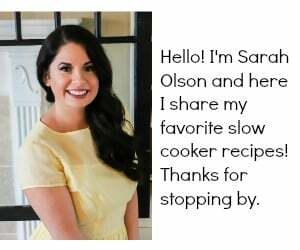 I used my 6-quart slow cooker for this recipe, though it will fit in any size down to a 4-quart.